Running Press Adult, 9780762464074, 192pp. The perfect gift for music lovers, The Mixtape of My Life is a guided journal that offers prompts and questions to get everyone recalling the pivotal songs that have shaped our lives. No matter which musical generation you belong to, or whether your musical tastes range from doo-wop to Daft Punk, The Mixtape of My Life can be an instant conversation starter among friends and family--and a great way to rediscover the special tunes that played during key moments of your life. Everyone has those songs that take them back--to their first love, their favorite concert, or a memorable Saturday morning cartoon. 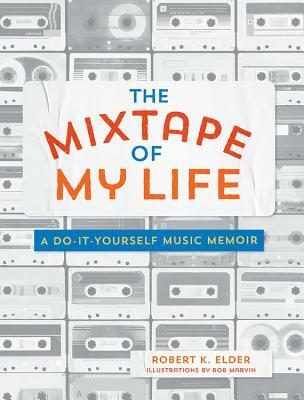 The Mixtape of My Life provides more than 200 questions and prompts to help readers chronicle their lives through music and explore their personal soundtrack. Evoking memories, stories, and long-forgotten mix tapes, this guided journal includes questions like "What was the first record you owned?" and "What song did you later realize was smutty?" and provides room to draw a favorite album cover or create the perfect road trip playlist. With dozens of quirky illustrations throughout, The Mixtape of My Life can be a great tool for your next dinner party, or simply something any music lover can enjoy for themselves. Robert K. Elder is the author of seven books, including 2016's Hidden Hemingway. His work has appeared in the New York Times, the Los Angeles Times, The Boston Globe, Salon.com, and many other publications. He has worked for Sun-Times Media and Crain Communications, and is the founder of Odd Hours Media. He lives and writes in Chicago.